Dolphin 4 features in the 2016 Tech Guide to MIS & W2P systems on ProPrint. 18 Sep 2015: More than managing print. Dolphinworxs client KingPrint features in this article on ProPrint. 24 Apr 2015: Cover story: Spread your wings and fly at PrintEx15. Our featured on ProPrint for PrintEx 2015. 28 Jan 2015: DolphinWorx plans updates, licencing changes. Dolphin License changes featured on ProPrint. 12 Jan 2015: Innovation, Personalization And The Cloud + More Predictions For Print In 2015. Stephanie’s predictions for 2015 featured on ProPrint. 28 Nov 2014: International Print Day – did you enjoy it?. 28 Nov 2014: Tech guide: MIS and web-to-print. 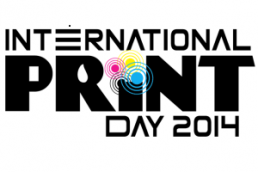 29 Aug 2014: International Print Day is on 8.10.14. Get involved!. Stephanie features on the K.W.DoggettFinePaper blog. 24 Jan 2014: MIS, W2P and workflow. 16 Sep 2013: Xerox Virtual Print-13 pre-registration. Xerox pre-registration from Print13, Chicago.